Last night I went on my first trip of the week to The Norfolk and Norwich Festival. This time I was walking up to The Spiegeltent in Chapelfield Gardens. It was another beautiful day so once I collected my ticket it was all about a pint of cider. I was at the Adnams Spiegeltent to see Casus Circus‘ production Driftwood. 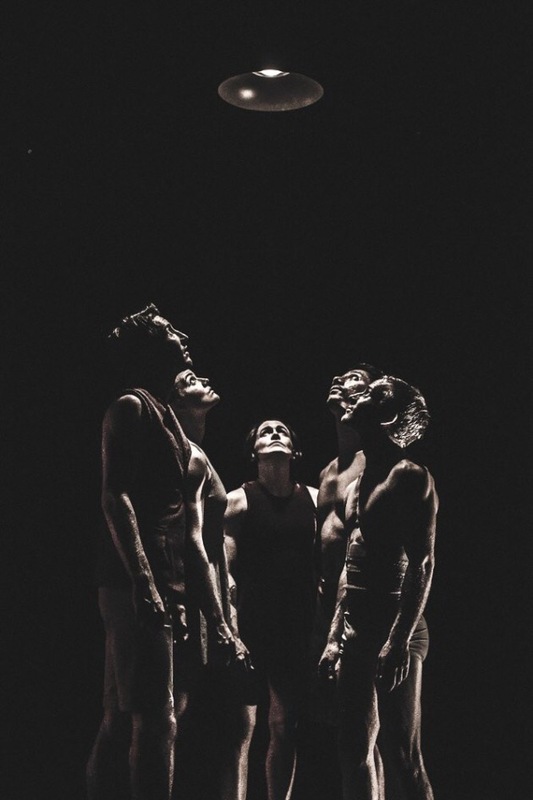 Casus are an Australian ensemble from Brisbane who are recognised as leaders in contemporary circus on the international stage. They have performed all over the world and have become so in demand that there are now two sets of performers on tour. Right now one team is in Norwich and the other is at The Udderbelly Festival on the Southbank in London. So if any of my London friends are reading this I highly recommend this show. I am sure each individual performer brings their own special skills to each show but the heart and soul of the piece will remain. At the Spiegeltent it was unallocated seating, but due to it’s unique design there was not a bad seat in the house. It’s such a small intimate space I did start to wonder how they would use the space, but I needn’t have worried, the show fit perfectly. The members of the ensemble at the NNF were Jesse Scott, Natano Faanana, Lachlan Mcaulay, Kali Retallack, and Phoebe Carlson ( as seen in the photo right at the top of this post). The camaraderie and joy these performers exuded on stage made it hard to take your eyes of them. In the quietist of moments you could hear a pin drop. Or an audience member gasp at a stunt. Balancing on your head on a moving trapeze? Rotating at speed whilst clinging onto a rope? The entire ensemble climbing all over each other and balancing on various body parts ? My personal highlight was a stunning aerial hoop routine, where even her cast mates seemed to be in awe of the fluidity and speed she performed at. Driftwood was a mix of acrobatics, contemporary dance and the strength of callisthenics. Both male and female performers were equally as strong as each other enabling them to work seamlessly together making the 60 minute show fly by. They made such complex moves seem simple and easy. I doubt I could even rotate one of the hoops around my arm successfully! Each performer had their moment in the spotlight but they truly shone when all together on stage. I wish it could have been a two act performance, but I imagine that those 60 minutes are exhausting. And bruising. I think I come across a *tad* gushy in this post but it really was one of the best things I have seen in a long time. If you can’t make it this week keep an eye on their calendar as both ensembles seem to be in the UK for a lot of the summer. PS- Have you been to see anything at this years Norfolk and Norwich Festival? Let me know down in the comments. You can read my review of Summer, Autumn, Winter, Spring here and Super Sunday here. I have been lucky enough to be gifted these tickets, but all reviews are my own honest opinion.